Some futurists, including me, are obsessed by process. 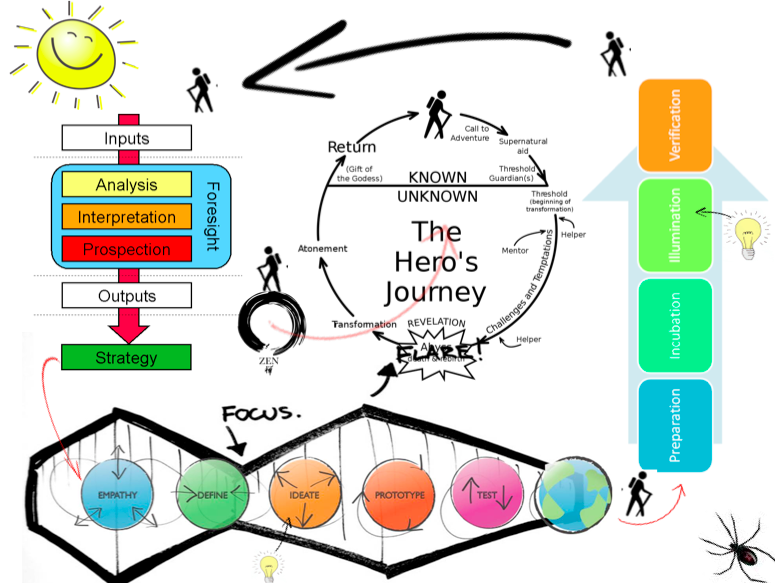 Joseph Voros’ Generic Foresight Process, IDEO’s Design Thinking Process, Otto Scharmer’s Theory U, Graham Wallas’ Creative Process and Joseph Campbell’s Hero’s Journey are some, which I have obsessed over in recent years. As you know, a process never describes what reality looks like. Reality is always more complex and messy. The beautiful randomness of life is too hard to illustrate in a nice linear process. I tried to illustrate my life at the moment and ended up with this image. I call this process The Mystery Train.